It is here in Junedale that Mardie has her moments. 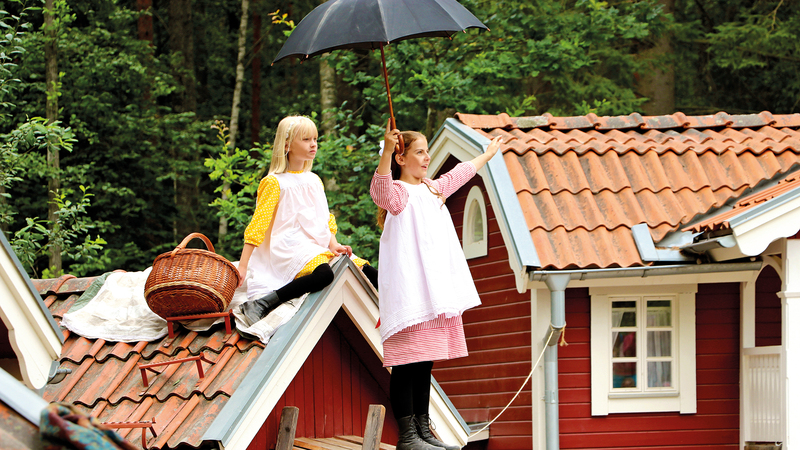 It is here that she and Lisabet play, climb trees and have a picnic on the woodshed roof, and it is here that she and Abbe visit Count Kråk in the wash house in the middle of the night. It is also here that she learns about ‘the helplessness of poverty’ and that not all people are actually as well off as she is. Here you can meet Mardie and Lisabet as well as Alva, Abbe and Mr Nilsson. For times, see the daily programme or our app.